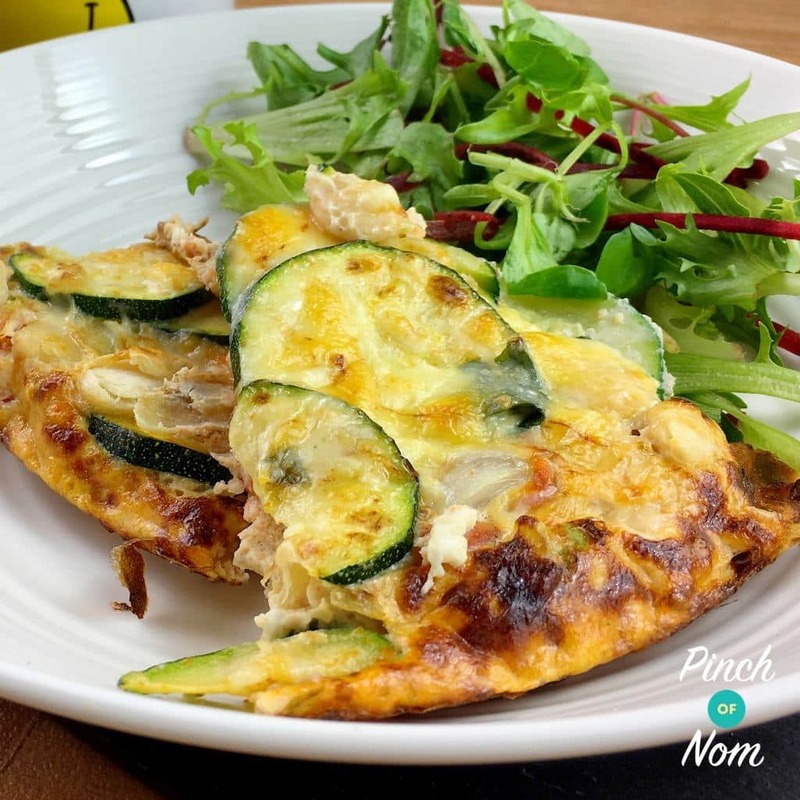 This Courgette & Butterbean Frittata is perfect if you are counting calories or following plans like Slimming World or Weight Watchers! If you’re looking for a breakfast, brunch or lunch idea that’s tasty and a little different, this recipe might be just the ticket. A frittata is a type of thick Italian Omelette with a variety if different vegetables or meat, making them perfect for anyone looking to fill up on more healthy whole foods. 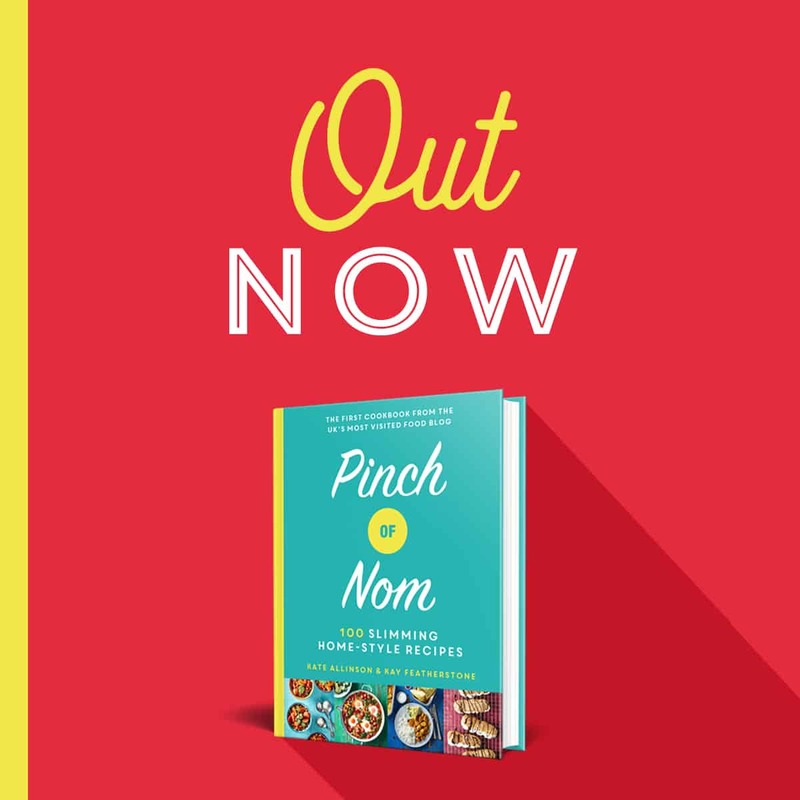 It fits especially well into weight loss plans thanks to it’s ability to fill you up for less calories, Syns and Points. It’s a great way to pack an extra bit of veg into your diet! We’ve chosen to use butter beans in this recipe for no other reason than, we love them. We can’t get enough of them. 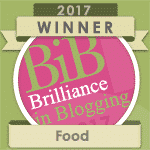 However, you could of course use other beans, like Cannelini or Borlotti. We like to use good quality chopped tomatoes in this recipe. We find cheaper tins can be a little watery and acidic. Of course you could always use a few chopped up fresh tomatoes if you prefer, or cheaper tins with a little tomato puree added will work in a pinch! For some more breakfast ideas why not check out these recipes. 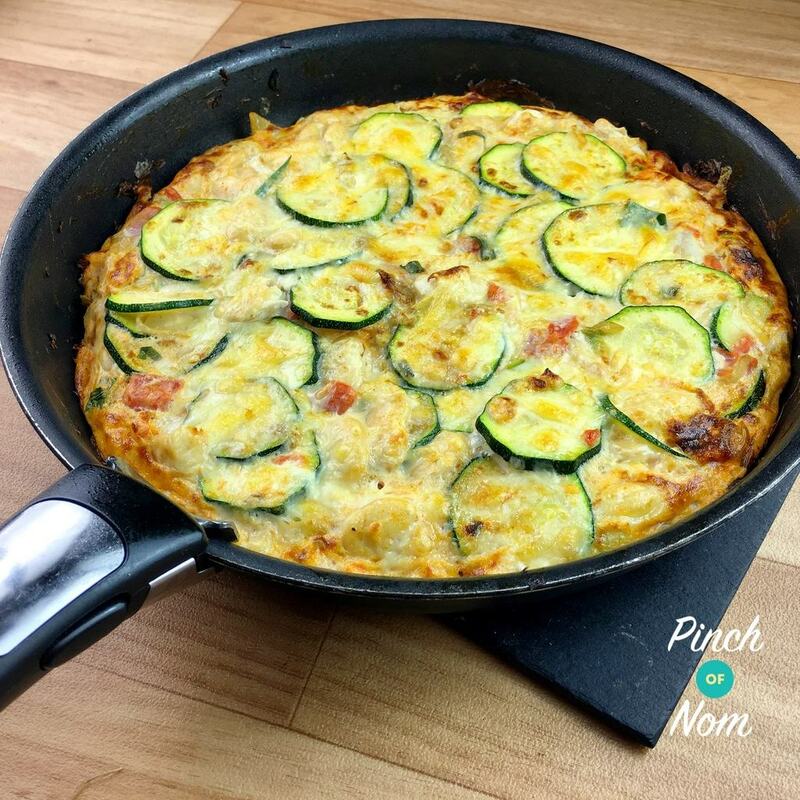 How many calories is this Courgette & Butterbean Frittata? There are 224 calories in each portion of this Courgette & Butterbean Frittata. For something so filling and tasty this is incredibly low! 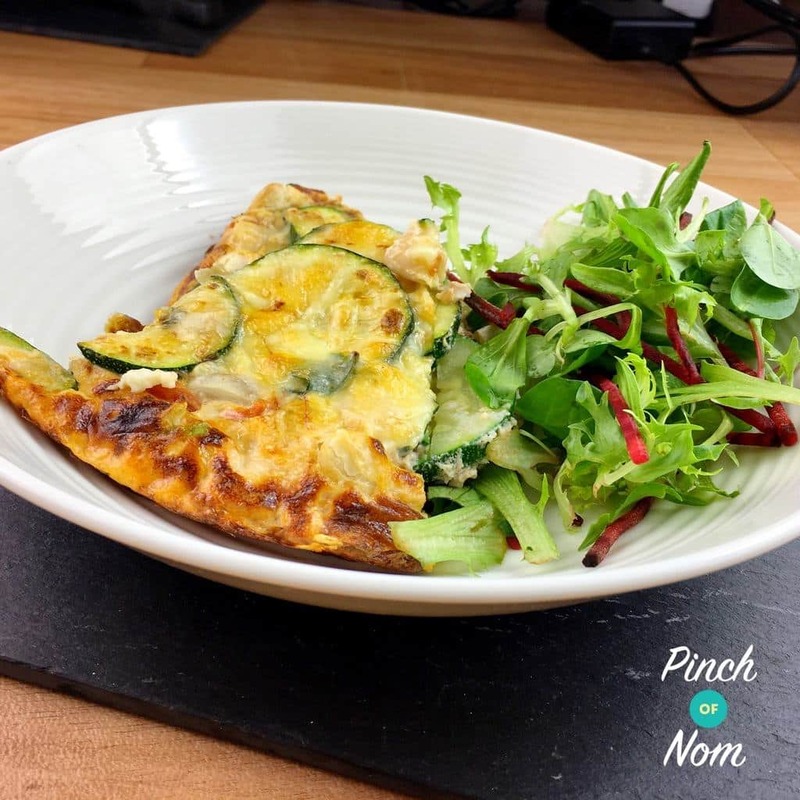 How Slimming World friendly is this Courgette & Butterbean Frittata? 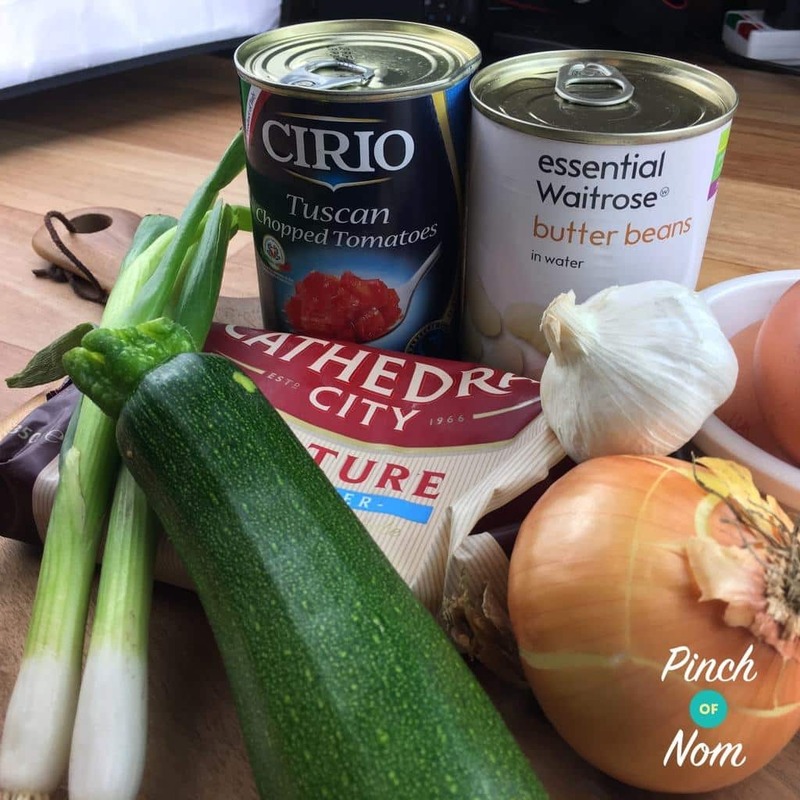 This Courgette & Butterbean Frittata recipe is Syn Free per if you use 1/4 of one Healthy Extra A per portion. We used Cathederal City Lighter cheese, which is 40g for one Healthy Extra A, and makes working out a quarter of that simple. But, don’t forget, other brands may vary so check Syns Online for the correct quantities. In our case the Syn value, if we weren’t using part of one Healthy Extra A would be 1.5 Syns per portion. This recipe is also great for SP days! 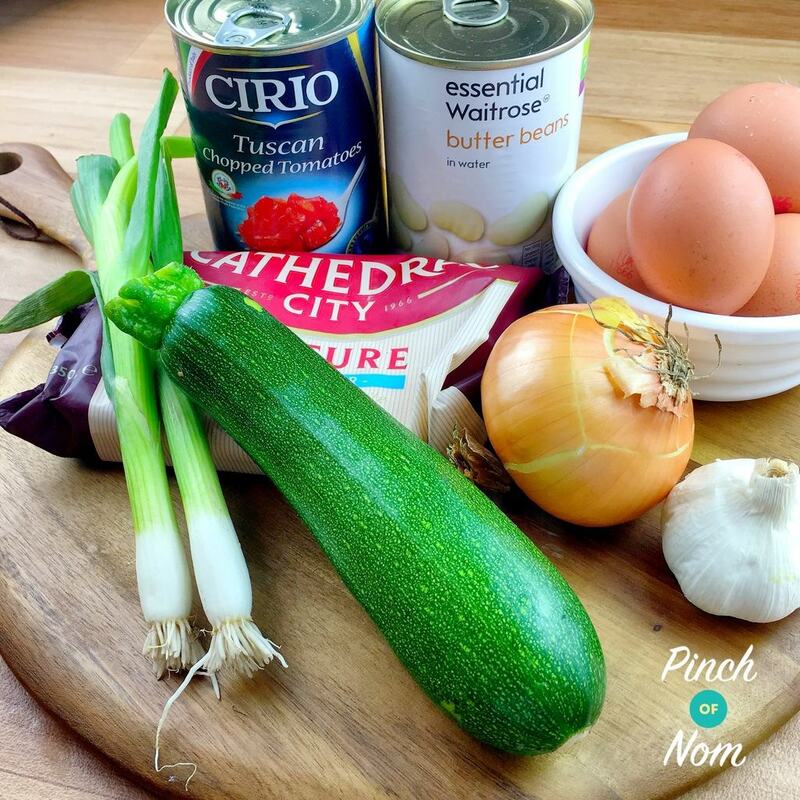 How Weight Watchers friendly is this Courgette & Butterbean Frittata? This Courgette & Butterbean Frittata is only 1 Point per serving. 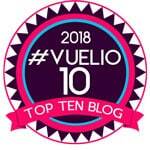 This make it a lifesaver for days when you have already used the majority of your Points on something a little naughtier! And you might even find some inspiration from our awesome members, and if you’ve joined already why not invite any friends that may find it helpful? 40 g Low Fat Cheddar grated. This works out at 10g per portion, so you could use it as part of your HEA like we have done, or syn it at 1.5 per portion.